If you are a dog lover, and have one, this event hosted by Witch Creek Winery could be lots of fun. 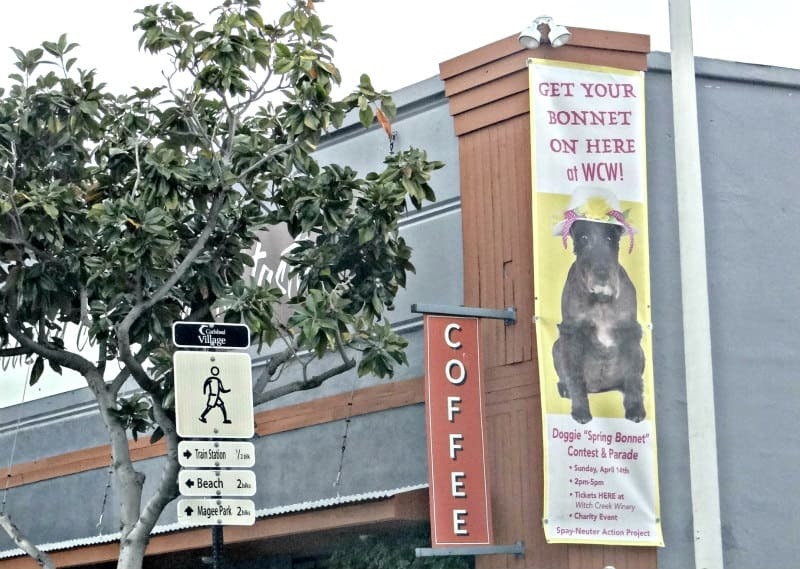 The Doggie Spring Bonnet Contest and Parade is being held at the Winery on Carlsbad Boulevard (at the corner of Grand Avenue), on Sunday April 14th from 2 until 5 pm. You and your pooch must each wear a decorated hat and will get to show off your Easter finery to the judges during the parade. There will be prizes for Most Unique, Most Spring-Like, Most Creative, and Best Pair. In addition to the contest and parade, you will get to enjoy some finger foods and wine tasting, with treats for the dogs, too! The entry fee is $25, and the best part is the proceeds will benefit a San Diego-based spay-neuter organization – SNAP (Spay-Neuter Action Project) – founded in 1990, providing low cost spay and neuter services throughout the county to help reduce the number of homeless animals. The Witch Creek Winery is located at 2906 Carlsbad Boulevard in the Village. Get your tickets now! And even if you don’t have a dog, come enjoy the fun at the Witch Creek Winery this Sunday April 14 for the Doggie Spring Bonnet Contest and Parade.